Other countries already have regulations in place. We need to catch up. Several politicians and leaders in technology law are calling for the United States to create a department that concentrates on robotics and artificial intelligence (AI). AI is becoming ubiquitous, and is present in everything from your cell phone to self-driving cars. The U.S. should start taking action to address Obama’s concerns, argues John Frank Weaver, a lawyer who specializes in AI law. In an interview with Inverse, he advocated the formation of federal commission or similar government entity to establish overarching regulations of AI and autonomous technology. “The idea that there’s one body where congress and the executive branch are able to pool their resources and come up with a coherent federal policy for the country, both in terms of domestic policy and how we approach international treaties, I think is important, because of the potential dangers in a lot of areas,” Weaver said. Some of these potential dangers might be privacy concerns from drones or smart TVs, or safety issues stemming from cars driven by AI. There are also economic implications to these technological advances: what happens to taxis, Uber, Lyft, long-haul trucking, and other industries when AI takes over driving? Who is responsible for accidents caused by self-driving vehicles? A centralized federal agency could tackle these problems and others. 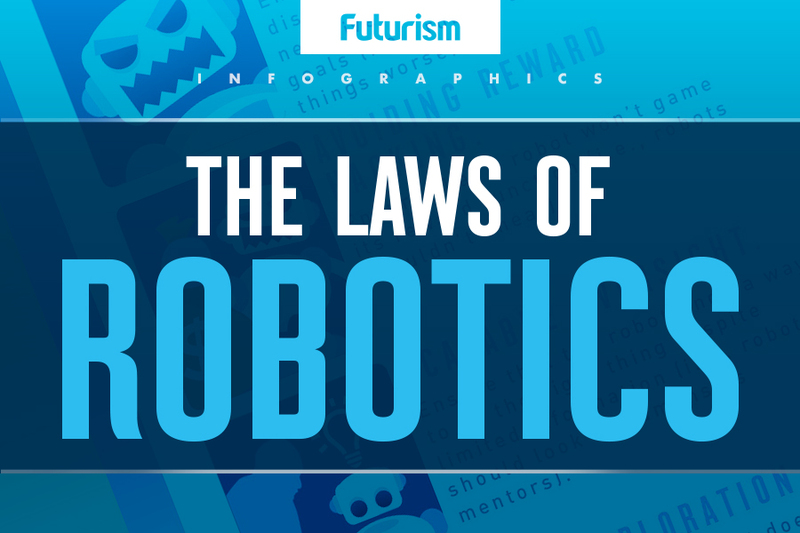 The idea of a federal agency to regulate robotics isn’t new. Ryan Calo, professor at the University of Washington School of Law and adviser of the Obama administration, wrote a proposal for one in 2014. The proposal points out that private tech companies are already looking to government agencies for guidance in these uncharted technological territories. For example, Toyota approached NASA for help when their cars were unexpectedly accelerating. But NASA cannot take on all the problems that will come with a growing robotics industry — its members have too many other things to focus on. Currently, any regulations of robotics and AI are spread out across many organizations. The Federal Aviation Administration, Securities and Exchange Commission, and the National Highway Traffic Safety Administration have some of the responsibility when it comes to robotics regulations. However, this arrangement doesn’t allow for full coverage or expertise in this highly technical and rapidly changing field. While the U.S. federal government is lagging behind technological advances, many states are struggling to come up with their own solutions. Legislation on autonomous vehicles has been passed Alabama, California, Florida, Louisiana, Michigan, Nevada, North Dakota, Pennsylvania, Tennessee, Utah, and Virginia, as well as in Washington D.C. , since 2012. However, when you compare the body of legislation to that of the airline industry, it doesn’t even come close. If every department takes on only the robotics issues that affect it directly, there’s no across-the-board policy, which can lead to confusion. It’s not like such policies are impossible to put in place. Japan and the European Union have both created robotics commissions along the lines of what Calo and Weaver have proposed. In Japan in particular, robotics is an enormous industry. In 2009, the nation employed over 25,000 robot workers, more than any other country. This could be a solution for the country’s declining birthrate and diminishing workforce. The European Union’s proposal covers rules and ethics governing robots in addition to tackling the societal issues that will arise. The consequences of allowing the robotics industry to run a muck without oversight could have far-reaching consequences. For a similar example, remember the the banking industry collapsed of 2008, which occurred because of a lack of federal oversight when it came to banking regulations. Nine years later, the industry is still suffering, according to author Anat Admati. In a situation linked to the economy, it is vital that we have regulations in place to prevent another collapse like in 2008. A federal robotics agency is necessary in order to nurture this growing industry — and protect the nation from its side effects.